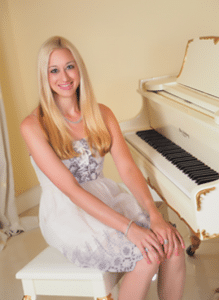 Janelle offers Beginner to Intermediate In Home Piano Lessons in Huntington Beach for ages 5 and up. She integrates both classical and pop if so desired. She uses the Alfred series method books and Faber&Faber’s Piano Adventures. She uses a fun and educational approach while reminding students that daily practice is key to progress. 30 minutes or more of daily practice is recommended and will produce the best results. A more detailed explanation of her specific piano and voice methods are found under The Program tab.